Shawn and her husband, John, have two daughters, Ava and Lily, and son Jonathan. They returned to Columbia from Quincy, Illinois, and are excited to raise their family in a town they both love. They enjoy attending Mizzou games, playing outside together, running, and socializing with their family and friends. They are active members of Our Lady of Lourdes Catholic Church. 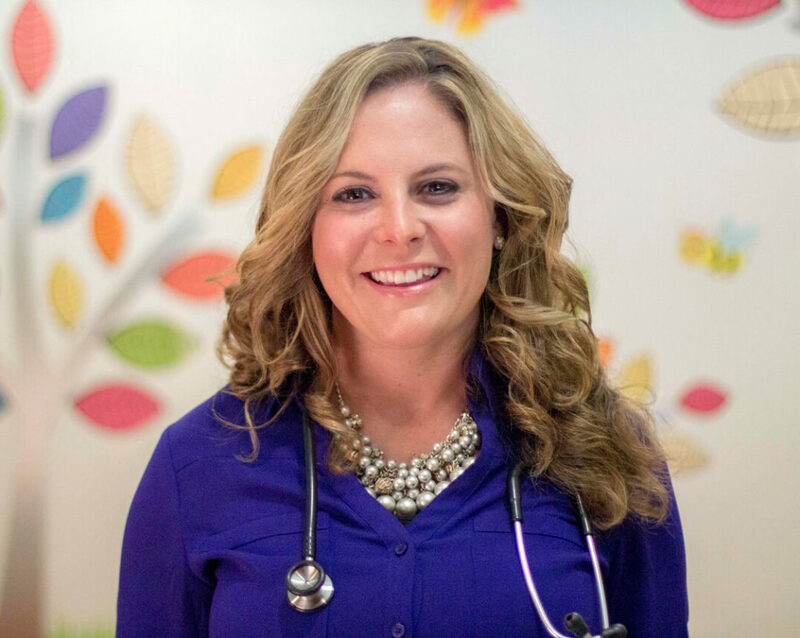 Shawn has always had a love for children and feels blessed to have the opportunity to provide quality health care for a pediatric population close to her hometown. Previously, Shawn worked as an OB/newborn nurse and certified childbirth educator. She has had extensive training to support breastfeeding mothers and feels it is important to provide parents with the education and tools to help mothers be successful. Shawn completed her Doctorate in Nursing Practice residency clinicals with a variety of pediatric specialty providers and gained valuable experience in endocrinology, otolaryngology, cardiology, and asthma care. She has a passion for helping children and their families live healthy lives through good nutrition, exercise, and vaccination. Shawn, along with our other pediatric nurse practitioners, staff our walk-in clinic for illnesses with extended hours at the Southampton location. Our hope is that you find this to be a convenient way to get the quality care that you trust. See our Locations page for their hours of availability. Shawn is generally out of the office on Wednesdays. She sees patients at both the Southampton and Keene Street locations.